Personal style can be mastered at any age—there is no magic number or milestone birthday that can claim to be the pivotal point. Some lucky fashion lovers manage to find their signature look early on and hold onto it throughout their lives, adjusting and updating it ever so slightly to suit the changing times and trends. For others, understanding the outfits and clothes you feel most comfortable in can be a more arduous and experimental process. Whichever camp you might reside in, there's no denying that as you get older your tastes and wardrobe needs change: for example, aged 33 I now realise that all of the cheaper, trend-ticking items I bought on the high street in my 20s haven't stood up, so I'm endeavouring to buy less and buy better. My mum, who is in her 70s, is still supremely stylish, but she doesn't have the same need for smart dresses, skirts and suits on a regular basis due to the fact she's retired and her day-to-day activities are quite different now. That means she's still getting to grips with casual attire, and it's been a process for someone who loves getting dressed up. Carla Bruni looking sharp in a black tuxedo and stilettos. No matter what stage of life you're in I'm a big believer that you can wear whatever you want, whenever you want. There shouldn't be "rules" or "dos" and "don'ts" just because you're older or younger. Societal norms are shedding left, right and centre, and never before has it been cooler to age staying true to yourself. Many of the most admired and iconic women in the fashion industry haven't done a 180 on their favourite looks just because they've hit 40, 50, 60 or more. A real tastemaker will be guided by what feels right, but we all have wobbles and moments of uncertainty. So whether you're a 20-something trying to find that ultimate interview outfit or a 50-something rediscovering a love for colour and searching for quality inspiration, our gallery of older celebrities, industry figures and influencers will help. 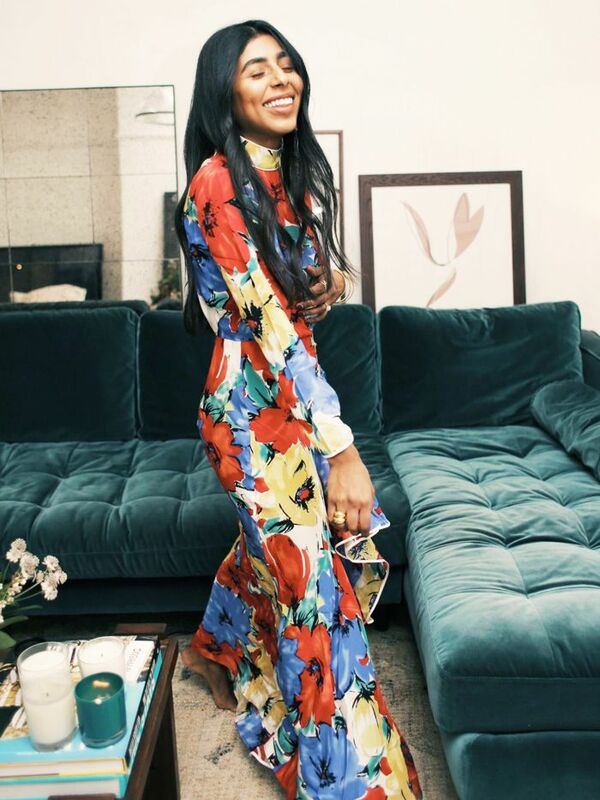 Read on for 37 trailblazing over-50 women we love to take style tips from on the regular. This glorious lilac look is the perfect accompaniment to Julianne Moore's instantly recognisable red hair. The revered actress often chooses simply-cut clothes in striking hues, whether on the red carpet or the street, and the formula works to great effect. Former fashion director of British Vogue Lucinda Chambers has spent over three decades at the forefront of the fashion industry. It's no surprise then that she's managed to hone her look. From bold prints to chunky necklaces, as well as Marni shoes, this is easy sophistication to wear at any age. Oprah's really found her fashion mojo of late: from wearing the most spectacular pink Stella McCartney dress to the royal wedding through to her regular high-profile appearances where waist-nipping dresses or skirts-with-tops play the main role. If you're looking for a polished style with a trend-led twist, Alyson Walsh is your woman. The fashion journalist–turned-influencer packs plenty of Scandi cool with clever minimalist pairings and the odd flash of print. As one of the original supermodels from the 1970s, it's no surprise that Pat Cleveland still has a spectacular and ultra-glamorous wardrobe now. The American fashion insider never shies away from decadent fabrics, OTT jewellery and true entrance-making party outfits. Grece Ghanem is our latest Instagram obsession: The Montreal-based personal trainer has the best designer clothing collection and wears all of the latest pieces in the most unexpected ways without being wacky. Take this Gucci tee and leopard trousers example, for starters. Senior vice president of the fashion office and the director of women's fashion and store presentation of New York's iconic Bergdorf Goodman, Linda is often spotted wearing leopard print. She also has a love of Dior's red lipstick Holiday. Speaking to the FT, she revealed that she's a fan of timeless classics "with a bit of bite." Actress Isabelle Huppert is the very definition of chic. Of course, it helps that she's French (and you know how much we love their style), but she always looks effortless—whether that's wearing a couture gown at Cannes or a more androgynous suit with an overcoat at fashion week. It's hard to believe Halle Berry is over 50—I'm sure she looks younger than me. The Hollywood star takes an all-sassy-or-nothing approach to dressing, often choosing see-through fabrics and risqué silhouettes. Monica Bellucci is often considered to be one of the most beautiful women in the world. The actress started off modelling for the likes of Dolce & Gabbana and Dior, but then made her mark in the film such as The Matrix Reloaded. Her style is often very elegant with figure-flattering dresses. We recently spotted Renia's blog Ven's Wife Style and immediately had to know more. From the all-grey outfit made fun with a faux-fur bag flourish to doing the Balenciaga look better than seasoned street stylers, her smart but sassy style has us hooked. You'll most commonly see Viola Davis in one of two combinations in public—either a smart trouser suit or a pared-back sheath dress in a vibrant hue. Here she is doing the latter and reclaiming Barbie pink for all generations of women. Shooting to Insta fame at the age of 95, Erni Stollberg is a regular fixture on the feed of fashion concept store Park. Never one to shy away from an avant-garde look, Erni has been snapped in everything from a Y Project oversized suit (see above) to Simone Wilde over-the-knee boots. Lyn Slater has a knack for showing off eye-catching, quirky pieces, but her styling never feels over the top. 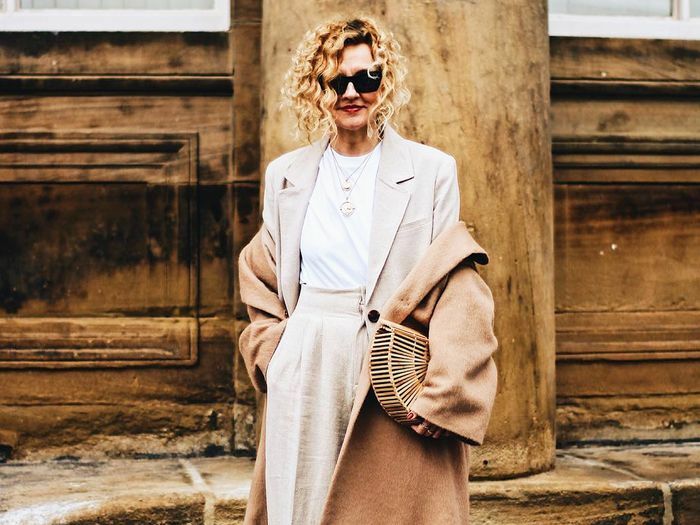 The 63-year-old's sleek, fashion-forward sense of style is an inspiration for any age, and she proves that comfort and personal style is the chicest thing of all. The mother of Space X and Tesla founder Elon Musk, Maye has been a model for five decades. Her style is sleek and minimal, but when she heads out for an event she goes all out with something like this. You need to know that she has great taste in earrings, lipstick, roll-necks and dogs. Vogue's Anna Wintour has a few wardrobe pillars (in many iterations) that have been cemented over the years to create the hardest-working wardrobe in the biz. One of her classic looks is a fabulous coat, printed dress and knee boots. One of those ultra-glam people, Colleen Heidemann cites the likes of Jackie O, Grace Kelly and Audrey Hepburn as her style icons. This all shows in her personal style, which is sophisticated but fun. The Jennifer Aniston superfans out there will know that the Friends star has always stuck to the same idea: wear all-black and you'll always look good. She's not wrong. Whether its a sparkly LBD or a more mix 'n' match tailored look like this, this method works. Melanie Kobayashi is the Vancouver-based blogger behind Bag and a Beret. The 53-year-old mixes vintage, fun prints and plenty of colours to create an overall look that's all her own. For top Parisian wardrobe inspo, look to former Vogue Paris editor in chief and legendary stylist Carine Roitfeld. The legendary designer may be known for her wrap dresses but her own closet extends far beyond that. Diane is a master of print clashing—she makes modern pieces look elegant by placing them next to classics. Oh, Mobama, we miss the regularity with which we used to see you in so many different outfits. Since the former FLOTUS has not been in the White House, we still get the occasional glimpse of her fantastic midi dress collection, but we're taking it back with this Preen look. It's still a fun but appropriate option three years later. Demi's personal style has changed a great deal over the years but she's on a particularly great roll at the moment. This colourful ensemble really ticks so many boxes and will doubtless inspire you to be braver in combining different shades together. The iconic TV presenter, author, activist and stylist (amongst many other things) is one of our all-time favourite women over-50 for striking outfit combinations that really speak to her personal style ethos of buying better, buying less and generally being more conscious in your consumption—without losing your cool. You can see more of Caryn's style via our Best Wardrobes in Britain shoot. As the founder of Net-a-Porter, former fashion editor Natalie Massenet is a queen of fashion. The impeccably dressed entrepreneur artfully combines new-season prints with classic wardrobe staples for an ultra-elegant finish. If outré is your fashion genre then Grace Jones must be your leader. The always-outrageous performer has never dialed down her madcap outfit ideas, and for that we will always be grateful. Bold, unapologetic fashion is what you can expect from the jewellery designer, model and Instagram icon Sarah Jane Adams. She never shies away from eye-catching colours or prints, and it's clear that more than anything she has fun with fashion. Some outfit combinations die hard, and supermodel Cindy proves it with the enduring allure of this blazer/jeans/heels creation. Works for every woman, at every age, and for multiple occasions. As Matchesfashion.com's co-founder, Ruth Chapman is an industry-adored figurehead with access to the best designer garms going. Take away the fancy clothes and you still have a woman who oozes serenity and elegance; her style choices are often classic with a twist, like this demure blouse rendered in metallic fabric. Actress Helen Mirren is a national treasure for many reasons, but aside from her theatrical skills and film repetoire we are also huge fans of her event dressing prowess. It's basically go big or go home, like this fabulous Oscars 2019 moment. Model and yoga teacher Lou Kenny once told us all about how to dress in your 50s, and it's something you will want to read. Her classic, effortless style and holistic lifestyle makes her one to bookmark, no matter what generation you're part of. 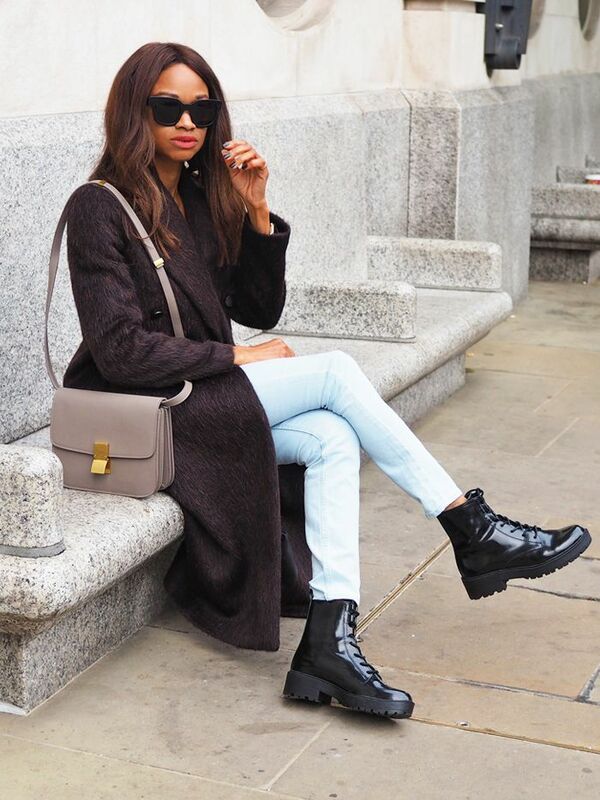 Forever chic, model Iman has always erred on the side of minimalism. She often adds a dash of interest via accessories, but you can always rely on her for an outfit that easily translates IRL. The interest in Brigitte Macron's wardrobe stretches far and wide, with many having a particular interest in the French first lady's denim choices. We, however, are very into her sharp trouser suits and how she styles them: Note the T-shirt instead of a blouse or button-down. Another French lady you 100% need to know about is journalist Sophie Fontanel. Whilst you won't ever see much of her face in her mirror selfies, you will see a whole heap of new styling ideas and combinations to replicate. She uses simple shapes and colours to great effect. Whether she realises it or not, Meghan Markle's mother, Doria Ragland, was jettisoned to mother of the bride outfit icon recently. We're looking forward to potentially seeing more of the super-chic lady in the future but for now, just take note of her classic-but-still-interesting ensemble. Singer extraordinaire, Celine Dion is a prime example of finding your more adventurous fashion side later on in life. Over the past few years she has become a bona fide couture fashion fanatic and a trailblazing trend-setter, wearing all of the latest collections and wildest pieces first. We bow down. Now see the 25 classic fashion items women of every age agree on.